Joan's Gardens: Happy Mother's Day to you all!!! 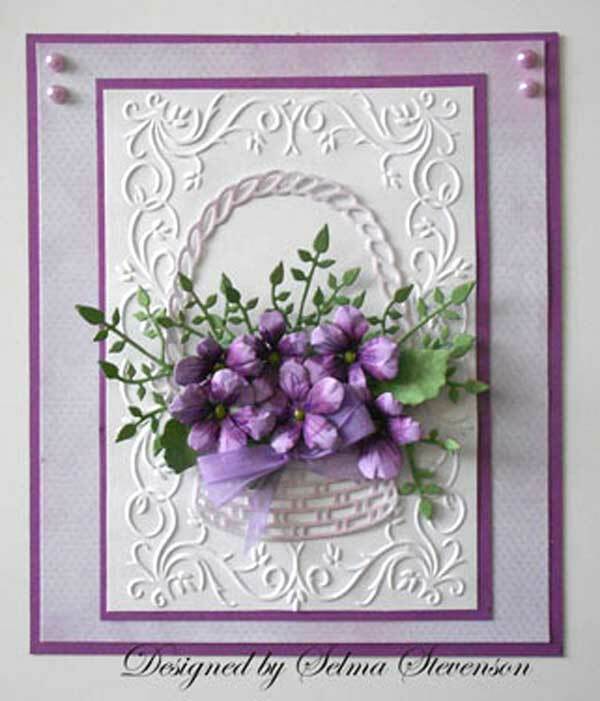 Selma has created these gorgeous cards using Susan Cockburn's new Pansy/Violet die. 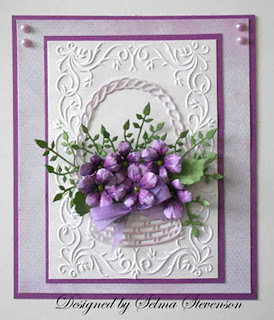 She has also prepared a great tutorial for a special Mother's Day gift. We hope you enjoy it. I think both are such beautiful Mother's Day Card and both Selma and I wish you a great day! Happy Mother's Day, Joan! Hope you have a GREAT day! Happy Mother's Day Joan, hope you have a beautiful day of celebrating. Selma's card are gorgeous. I love purple and this makes them really pop for me. Thank you and same to you. Both of the cards are beautiful. 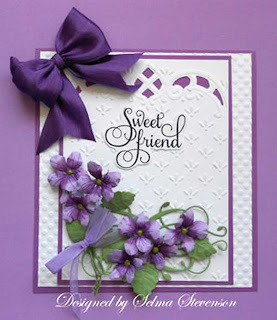 Love the color purple. A very Happy Mothers day to you Joan, loved your flowers, they were gorgeous!!! Thanks sooo much and a very Happy Mothers Day to both of you too. Hope you´re being spoiled as you deserve to be. Both these cards are absolutely fabulous and stunning, and the colors are so beautiful. Amazing work on both of them.